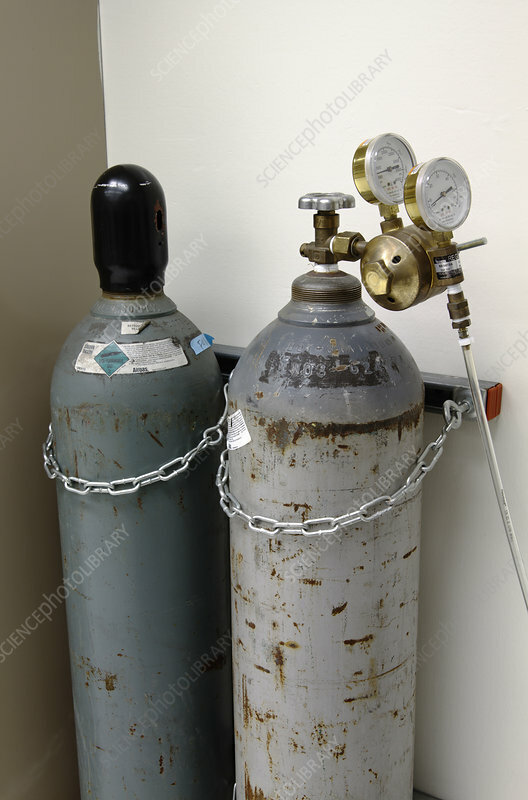 Compressed carbon dioxide cylinders, secured to the wall to prevent falling. One cylinder has a regulator attached. Two pressure gauges are used for measuring the inlet (upstrem) and the outlet (downstream) pressure. The inlet pressure indicates how much gas is left in the cylinder and the outlet pressure is used to monitor the flow of gas out of the cylinder.